Keep your van locked and secure whilst filling and working from your system our outside port panel. No need to cut holes in your vehicle – simply screw the stainless steel panel to your bumper or underside of your vehicle (screw holes already punched). 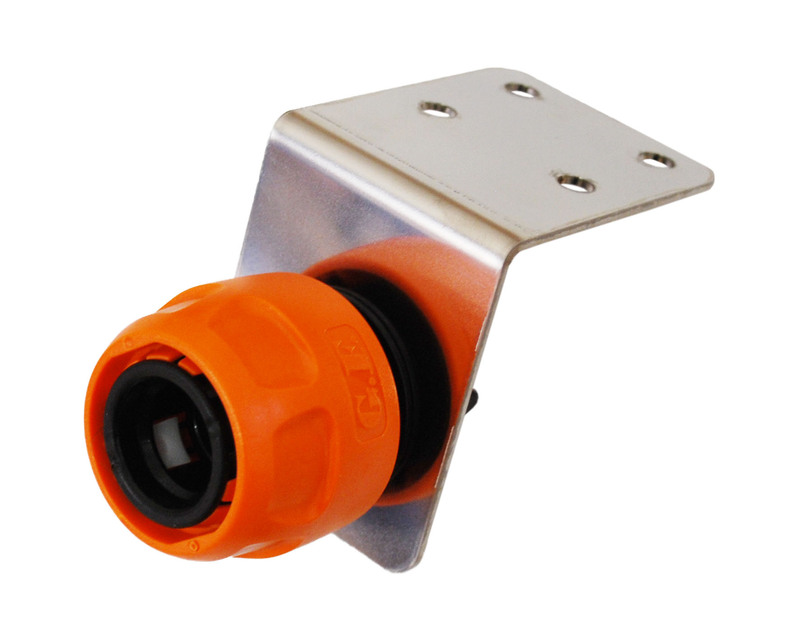 Supplied with a hoselock type female hose connector – just run your system’s pipework down through the floor of your vehicle and connect.